PADI IDC | Become a Scuba Diving Instructor | Total Diver Training "
Meeting Your Total PADI Diver Training Goals ! Total Diver Training for your total PADI training goals! Whatever your level or interest we can help you! From learning to dive, TecRec (Technical) to becoming an Instructor. Come and get your PADI with us! Learn to dive with the teacher of teachers with 25 years diving experience our PADI Course Director / Instuctor Trainer Andy! Continue your diving training by completing your PADI Advanced Open Water, Rescue Diver or Specialty Diver course. Take the plunge learn new skills and enjoy new experiences as a PADI TecRec / Technical Diver. We can teach you to complete decompression dives to 40m, 45m and 50m safely. Our core focus is PADI Professional Level training - How to become a Scuba Diving Instructor!! You won’t be stuck with a large student loan at the end of the course. Our courses are not tertiary courses. As such they are structured more around the PADI requirements of the course enabling you to be an effective Scuba Dive Instructor. You won’t, need to get a student loan if you complete a PADI Instructor Development Course (IDC) with us as the costs are much lower! When you complete a PADI IDC with us your instruction is provided by a PADI Course Director for the entire course. This is unique in the Auckland area and a real advantage to your training. Our IDCs are run outside of working hours over approx. one month leading up to the Instructor Exam (IE). This approach is again unique and enables learning over a longer period where we are teaching you how to be a PADI Instructor and not just pass the IE. It also means that if you are working you won’t be required to take annual leave to complete the course. All of our students have a 100% record of passing the IE at the first attempt! Over the weekend Andy taught a PADI Rescue Diver course for Performance Diver. The PADI Rescue course runs over a weekend and one evening after work. 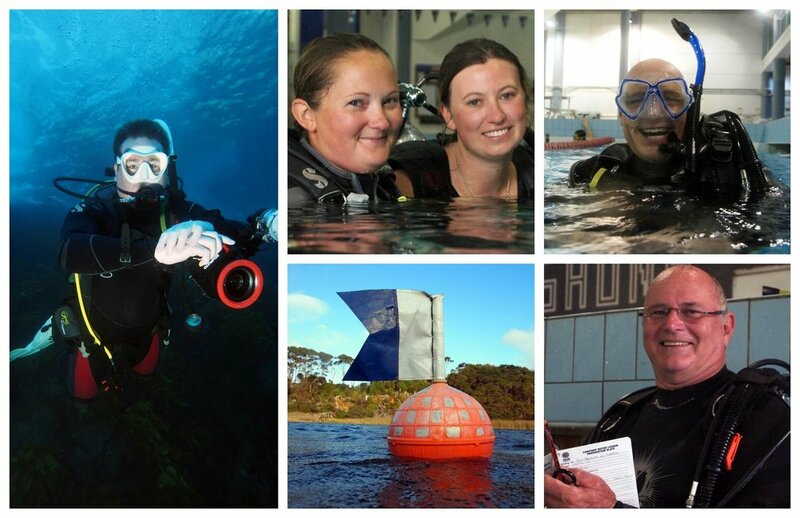 It is loads of fun and many of our students describe as the most fun PADI course they ever do! Always let somebody else know where you intend to dive, and ideally you will have at least one person surface cover on the boat or shore while you’re in the water. But what will they do if you become overdue, lost or have a diving accident which may require medical attention? Consider having an emergency plan or at least talking through what to do in the unlikely event something does go wrong. I can honestly say completing my IDC was one of the hardest yet rewarding things I have done. Throughout the course Andy showed patience and understanding and was able to adapt his teaching to meet out individual needs. He was and continues to always be available for help and support when needed. At some stage in a few year’s time I hope to go on to become a PADI IDC Staff Instructor and I can't imagine doing my training with anyone else. If you’re thinking of continuing your PADI education I highly recommend you do it with one of New Zealand's best .... PADI Course Director Andy Stewart. Andy Stewart was the Course Director on my IDC. Andy's extreme professionalism, excellent organisation, flexibility and relaxed manner made this a very pleasurable experience. A better role model you would battle to find. I would recommend TDT to anyone who is thinking of becoming a professional diver.